I should add, along with this routine, most days I do an hour and 20 minutes of walking/jogging, which keeps skin looking fresh and healthy, I eat alot of fruit and drink water and green tea like a camel, and started taking my multi-vitamins, which really is great for the skin and body. 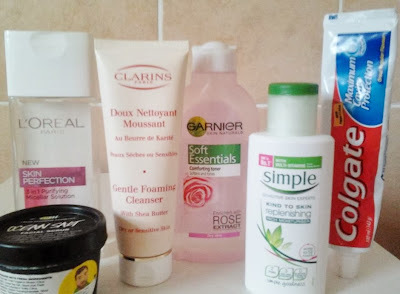 I have normal to combination skin, it goes very dry in the Winter and tends to be oily during the Summer, with the odd annoying breakout on my chin, so I try and find products that suit my skin and won't irritate it. Micellar water - A pre-cleanse. 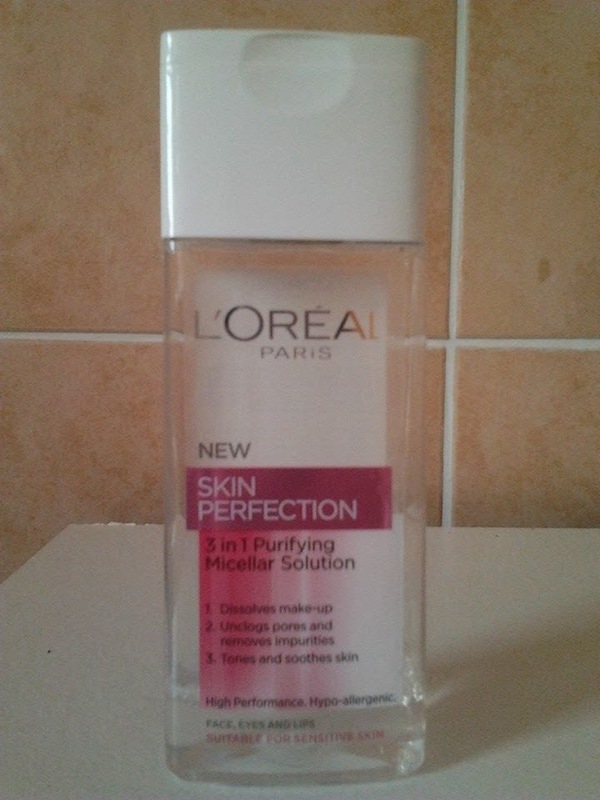 There has been a big big buzz around micellar water on the blogging scene and one of my favourite bloggers ever The Imperfect Beauty wrote a review on the L'Oreal Paris Skin 3 in 1 Perfection water and gave me the push to try in and see if it lived up to the hype surrounding it, and I love it! I have been using it religiously ever since. I will be doing a review on this soon. It's a cheaper dupe of Bioderma and Dermalogica. Its job is to dissolve make-up, unclog pores, remove impurities, tone and soothe skin. And it really delivers! I squirt a little bit of the water on to a cotton pad and sweep it across my face to remove any trace of make-up and I give it a minute to soak in to my skin before I cleanse. One of the most important steps in my skincare routine in my opinion. 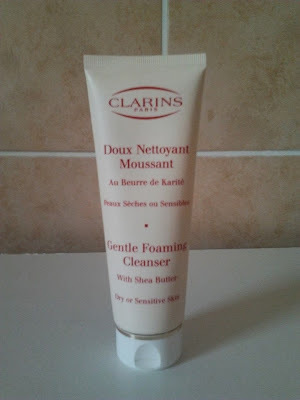 Now that we are into Winter, I have switched over from the light feeling Lush's Aqua Marina and using Clarin's Gentle Foaming Cleanser With Shea Butter, which I reviewed in great detail here. 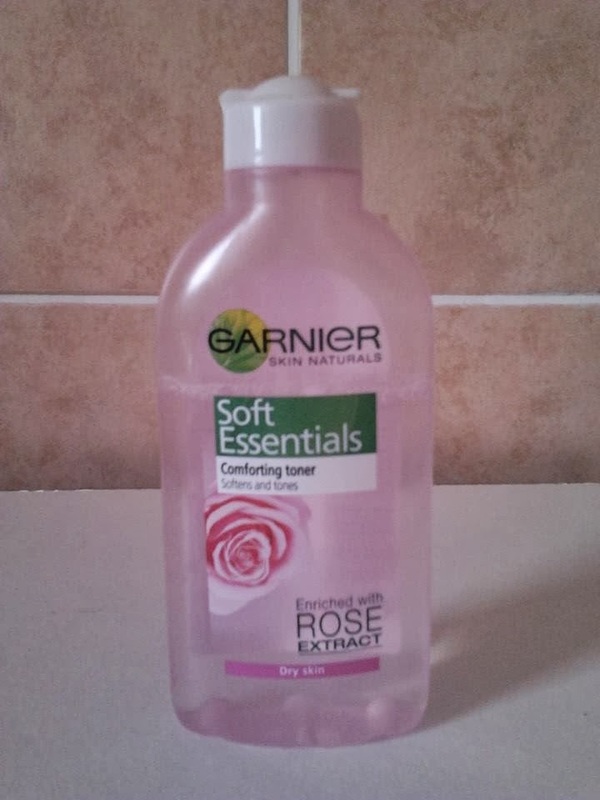 It's more richer and thicker and leaves you feeling alot more hydrated and a godsend for dry skin, so I love it! I use this at morning with cold water and at night with warm water, I take a blob the size of a pea in my hands and spread it all around my face and massage it in circular motions for a minute or two and wash it off with water and gently pat it dry with a clean towel. Some people may say this is an unnecessary step in the skincare routine, but I really disagree, I love this step. 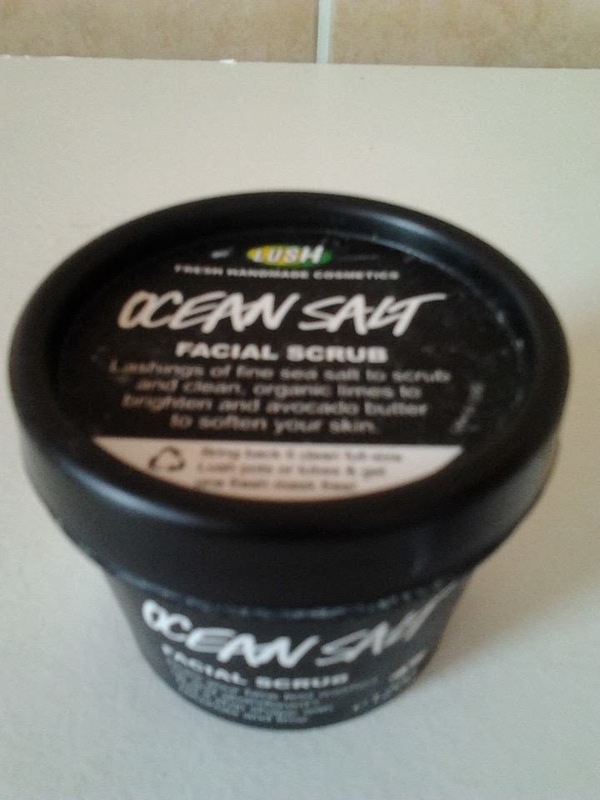 It really cools down and soothes my skin after cleansing or a face scrub, refreshing my skin and it removes anything blocking my pores and removes any bit of make-up that I may have missed, and it makes my skin look fresher, healthier and softer, so it's really an all rounder and a staple in my routine. I really couldn't be without it. I use the cheap as chips at €2.88 Garnier Clean And Soft toner for dry and sensitive skin, and it works absolutely perfectly for me. I squeeze a good amount of this on a cotton pad and wipe it all across my face and leave it for a minute to absorb into my skin, much like I use the Micellar Water. Even if you don't want to bother with the other steps in a skincare routine, at the very least lash on some moisturiser. It's a vital step. It creates a healthy barrier between your make-up and your skin. It restores, adds life, hydrates, adds all that goodness to yours skin, makes it super soft, every girl, and guy, should put it on the face twice a day, especially during the Winter, it will protect you against the elements like rain, wind, and the freezing cold. We are always buzzing off somewhere, and it can take a toll on our skin, so don't forget it! 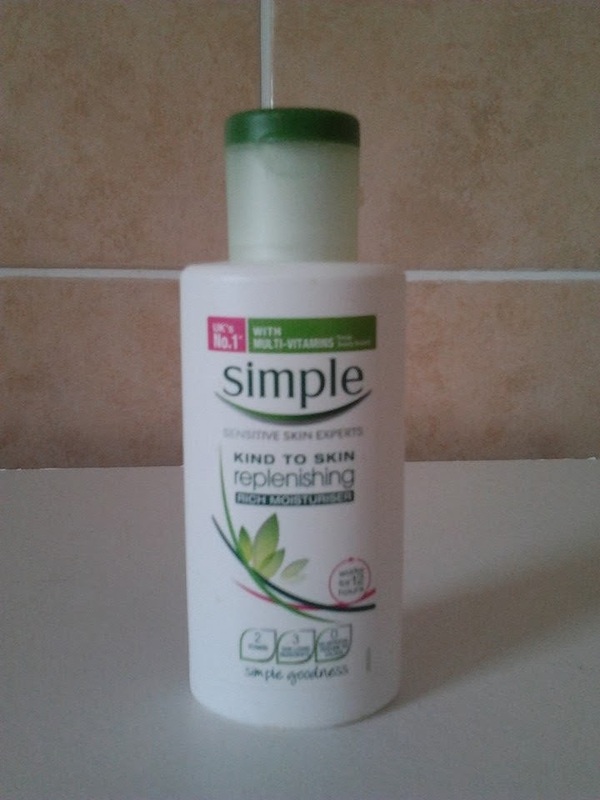 Like the cleanser, for the Winter, I switched over to a richer, thicker and more hydrating moisturiser, Simple's Kind To Skin Replenishing Moisturiser, and I love it. I recommend the Simple brand for the skincare novice, it has everything for skin you possibly need for a really reasonable price, then you can gauge yourself what you should and shouldn't be using. It's all about experimentation, and consistency. I put a thin layer of this all over my face and wait at least 10 minutes before I start with make-up. A scrub a dub dub. This isn't a step I would recommend for daily use. Once a week, or twice if your skin needs some extra loving, as it will dry your skin and strip your natural oils if used daily, not something I would want to chance with someone who has dry skin. It's an extremely beneficial step though. It removes dead skin cells, any flakes, softens, and brightens, your skin will look fantastic afterwards. 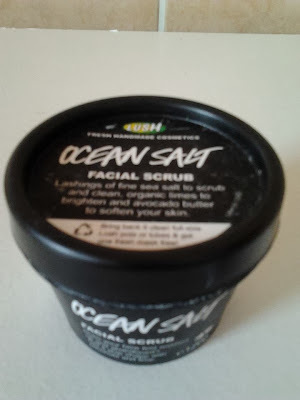 I use Lush's Ocean Salt which I reviewed here. I use this once or twice a week depending, usually at night time or a day I am not wearing make up so any redness that will occur has time to subside, I especially avoid using it on days I wear make-up, I don't want to feel like I'm putting 101 things on my face, after all. I use a generous amount and massage it into my face for a few minutes, focusing on problem area (my chin), wash it off with cold water, gently dry with a towel and use some moisturiser to calm it down and soothe. Again I use a face mask only once or twice a week, but I don't see the harm in using it more than that. A mask is an extra nice treat for your face, especially if you're stressed, if I'm stressed, I know my skin will show it. Depending on which mask you use, they generally get breakouts under control, repair, brighten and soften. 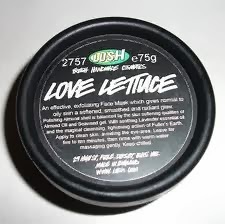 I used Lush's Love Lettuce and The Sacred Truth, the latter truthfully, wasn't for me in the end. I am heading up to Dublin and of course I set money aside for Lush. ;) I am hoping to get Mask of Magnaminty to control my chin breakouts, fingers crossed it works! Let me know below if you have tried it! I slather this all over my skin and leave it for 15 to 20 minutes and gently wash it off and follow up with some moisturiser. I cannot recommend Lush enough for skincare. I really can't. I'm lucky in the way of spots. They only come with stress (unfortunately I've had that by the bucketfull lately). 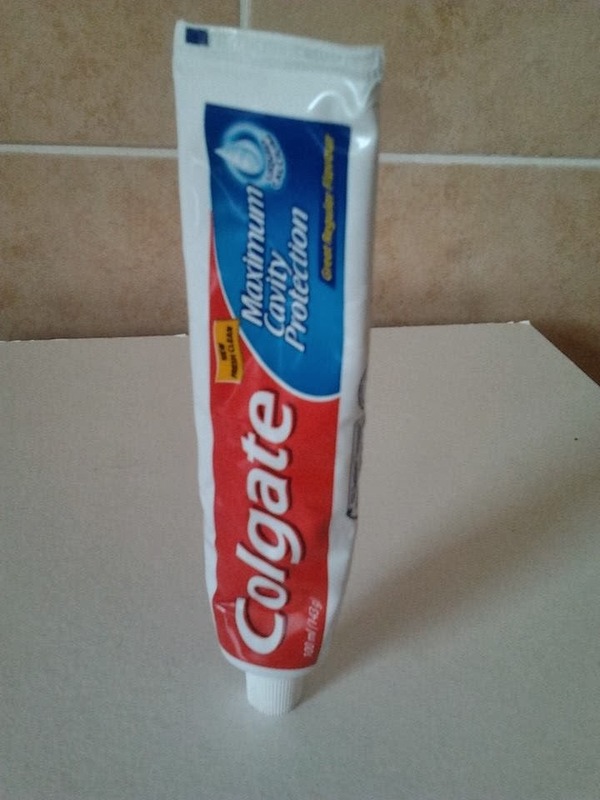 You can try all the lotions and potions you want, but after plenty of trial and error, I have found that nothing works better than... good old fashioned toothpaste. Yes, your mammy was right after all. A paste formula works better than a gel formula. Pop some on your new friend overnight, the toothpaste will dry it out, calm redness and dry it out, and in a day or two, it's gone! I'm sorry again about the hectic/late/lack of posts, new living situation, new routine, it'll take time. I didn't mean this to be so long winded either, haha!